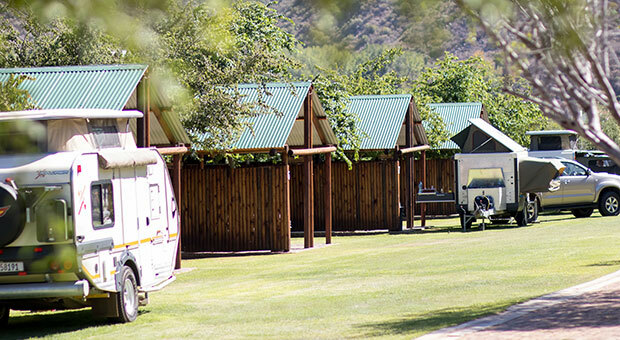 Oppi Dam is an up market, affordable camp site and holiday destination situated on the R328 N, just 15 km outside of Oudtshoorn and en route to the Cango Caves and other exciting Klein Karoo activities and attractions. 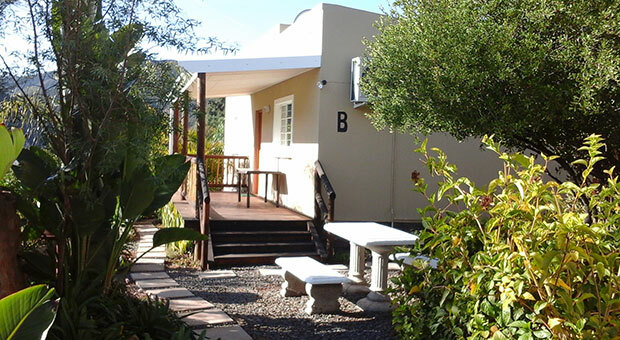 We offer accommodation types to suit all needs and budgets including chalets, cottages and private camp sites. Not only will you have access to the dam for fishing and canoeing, but you can also fend of the Karoo heat in one of two swimming pools. The quiet surroundings are ideal for family get-aways. If you love nature, this is the place to be! 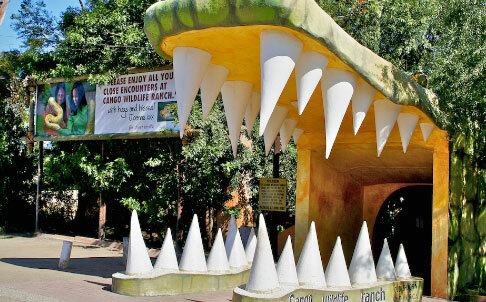 Wildlife conservation park where visitors can stroke & hold animals, plus play areas & cafes. 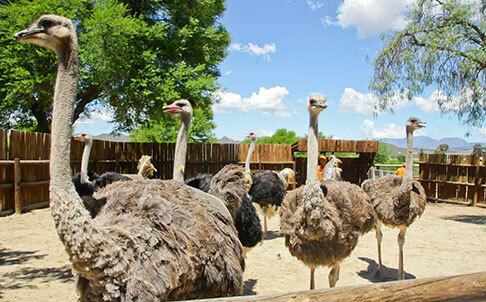 The Safari Ostrich Farm is an ostrich farm located 5 kilometres outside of Oudtshoorn. 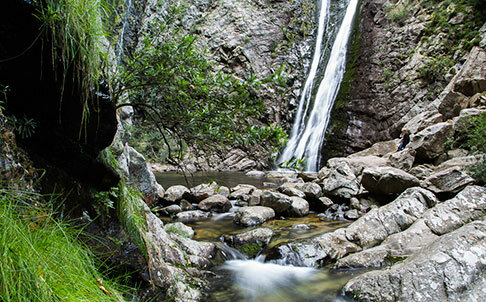 A serene, scenic trail leads to this hidden, narrow waterfall flowing into a small, rocky pool.